Lindsey brings her bright smile to everything she does at Synergy Health & Wellness. We are very excited to have her part of the team. As a massage therapist, Lindsey’s goal is to facilitate a positive relationship with ourselves (our bodies) and encourage positive touch. The ability to provide a safe and nurturing environment for each and every client is extremely important to her. She believes massage is not only therapeutic for the body, but for the mind and spirit, too. In her practice, Lindsey performs a blend of Swedish and deep tissue massage therapy. Lindsey is also trained in Thai foot reflexology, Japanese facial massage, and Shiatsu and mixes them in when requested and it is beneficial to the client. 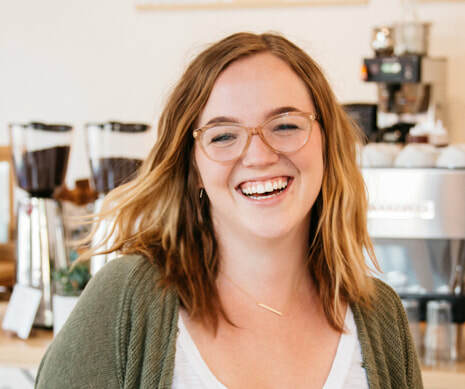 Born and raised in Bend, Lindsey graduated from Central Oregon Community College with a certification in massage therapy and an associate of applied science. She enjoys camping, hiking and swimming in the lakes and rivers Central Oregon has to offer. She also loves to travel with her most recent trip being to Thailand where she was able to be the recipient of Thai massage across the country. ​Schedule an appointment with Lindsey by clicking the "book now" button below!